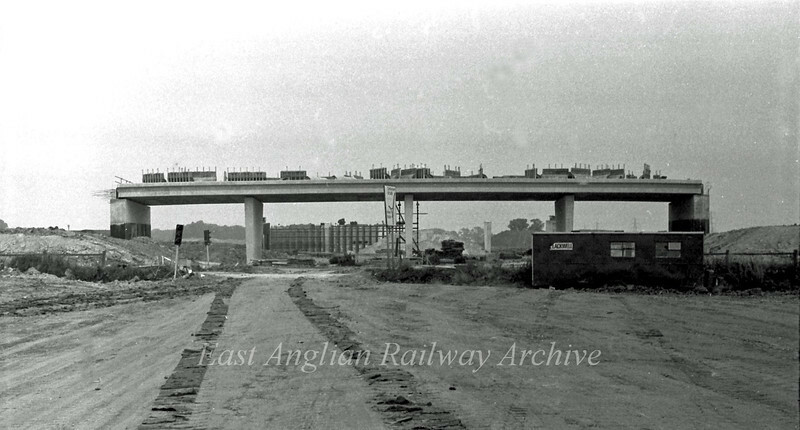 The view looking east towards Milton from a point west of the Histon bound flyover showing both flyovers. The old route of the B1049 runs behind the hut. The roadsign in the centre marking the middle of the A14. 14th August 1977.